From manufacturers and web developers to school districts and government offices, cyber security is essential for any business or organization. The amount of information that’s easily accessible to cybercriminals is already disconcerting, but it’s what they’re able to do with data that’s particularly alarming. Adware, spyware, malware, ransomware, trojans, viruses, etc. The list of cyber threats is lengthy and is only growing longer as technology continues to integrate itself into nearly every business and organization. To determine your particular level of risk, how to protect your identity, and keep your business information secure, it’s helpful to understand the basics of cyber security: what it is, who is vulnerable to cyber-attacks, and how to prevent cybercriminals from wreaking havoc on your network. Cyber security is a comprehensive effort (combined with an up-to-date set of best practices, processes, and technologies) that is designed and implemented to protect computers, programs, networks, and data from attack, damage, theft, and unauthorized/criminal access. Often, this array of strategies and solutions includes help from trained IT professionals and strengthened system infrastructure. What Is It That Cyber Criminals Are Stealing? We don’t have much cash on hand, so there is nothing to steal. We rarely use “computers” for business. We’re too small to be targeted. Then there is the rationale that “my business rarely uses technology.” This misconception is dangerous for two reasons. Number one, you absolutely should be using the latest technology to drive your company forward. In fact, a study conducted by Microsoft found that more than 90% of consumers said they would consider taking their business elsewhere rather than working with a company that uses outdated technology. Antiquated technology doesn’t just drive away customers, it drives away talent too. According to a 2016 press release from Dell, more than 80% of millennials said workplace tech would have an influence when deciding to take a job. Moreover, 42% said they would quit a job with substandard technology. But here is the kicker: you probably are using computers, and you’re just not aware of it. For instance, many manufacturers are using embedded systems in the machines. Each of these micro-computers has an IP address and therefore have a chance to be hacked. Once cybercriminals are into your network, other computers are made vulnerable. Finally, there is the all too frequent “we’re too small to be a target.” While major snafu’s like Equifax’s data breach in 2017 would make you think otherwise, cyber security is often more of a priority for large business and corporations because they have more resources to dedicate to make it one. Due to this fact, cybercriminals have been increasingly targeting small businesses. 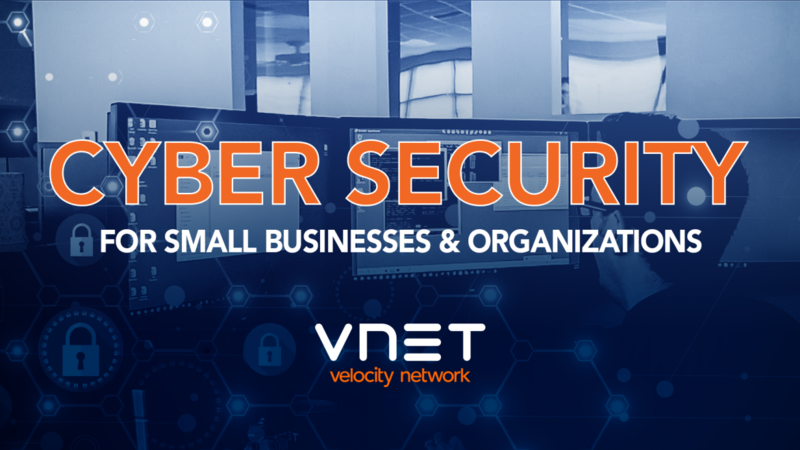 In fact, a Verizon Data Breach Investigation Report found that 61% of breaches hit smaller businesses in 2016, up from the previous year’s 53%. Despite these findings, the vast majority of small and mid-sized companies forego cyber protection. But here is the hard truth: between lost clients, legal fees, and repairs, most small and medium-sized business attacks will cost $100,000-$150,000 to rectify. Moreover, according to finding by Champlain College, 60% of small businesses fail within six months of a cyberattack. While it may seem like yesterday, the release of Windows 7 was almost ten years ago. Despite the obsolescence of this operating system, a staggering 69% of businesses worldwide still use Windows 7, according to Spice Works. Moreover, despite Microsoft ending support for Windows XP back in 2014, a whopping 14% of businesses are still running this unsupported operating system. Whether it’s a booked schedule or budget constraints holding back businesses from updating their technology, it’s essential that they consider how much time and money it may cost if their computers, network, and programs decide to break down. This is especially concerning as Microsoft stops releasing security patches and bug fixes to many of their older operating systems (with a few exceptions). As the defenses of Windows 7, Vista, and XP degrade, businesses and organizations still running those systems are positioning themselves for a dangerous cyber-attack. Case in point, WannaCry, a 2017 worldwide cyber-attack exploited older Windows systems that ended up affected more than 300,000 computers, according to research by NPR. Contact us at (814) 833-9111. Implementing new technology can seem daunting, but know that with the right team of IT professionals, getting your network up-to-date is simple and affordable. 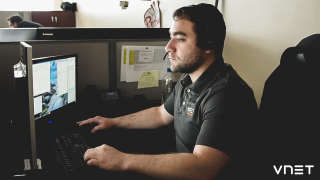 If you’re interested in upgrading your technology, outsourcing your IT needs, or need full technical support, contact VNET today to learn more about our services.